Nothing could have prepared me for the shock of hearing, at age 35, that I had breast cancer. One day in the early summer of 1993, I noticed a lump in my right breast. I had two immediate but rather contradictory reactions: “this can’t be anything” and “this has to get checked out”. I actually put the matter out of my mind until an already-scheduled routine doctor’s appointment about two weeks later, not being willing to even process the notion that there could really be a problem. But that appointment was to change the course of my life’s journey for quite some time. My doctor was concerned and ordered a mammogram and ultrasound, but she also went over with me the “risk factors” for breast cancer, pointing out that I had none of them other than not having had children. The lump did not show up on the mammogram, even though it could be felt. The radiologist explained to me that, given the even shape of the lesion–based on the results of the ultrasound–and my young age, he was “99 percent” sure that it was benign. My doctor, after hearing what the radiologist had to say, said she would be equally comfortable with my having a biopsy or not having one, leaving that decision up to me. Initially, I decided not to have a biopsy, based on the practical rationale that my doctor was not recommending that I have one. I wanted to consider the matter closed. But in my heart it was not closed. One night, about a week later, I woke up in the middle of the night with what seemed to be a sharp pain in my right breast. Wide awake, the “pain” immediately disappeared, and I wasn’t sure I hadn’t dreamed it but I made a decision right then to call the next morning and schedule a surgical consultation. I had thought until that point in my life that surgeons were essentially doctors who performed operations. I didn’t realize that they are also experts at diagnosis. Thus, I was amazed at the additional insights that my surgeon gleaned just from looking at the films, especially the mammogram. Although no lump showed up, he explained that the film revealed a pattern of microcalcifications that he was very concerned about. A biopsy was scheduled, and I left that appointment quite worried. On the day of the biopsy, though I was nervous, I still held to the idea that “this really wasn’t anything”. I was to receive quite literally a rude awakening. I woke up in the recovery room with a strange feeling that everything seemed very quiet. I didn’t see anyone around. Then the doctor suddenly appeared, seemingly out of nowhere, and told me that I had breast cancer. I had been diagnosed with stage I infiltrating ductal carcinoma that was multifocal in nature and therefore my doctors advised me that I would need to have a mastectomy. I chose to also have reconstruction with a saline implant at the same time as the mastectomy. The surgery went well and there was some positive news in that all of the lymph nodes sampled were clear. In my oncologist’s office a couple of weeks later, I learned additional details about my diagnosis and treatment options. Given my age and the size of the tumor (1.7 cm or about 1 inch), my doctor was recommending adjuvant chemotherapy. Since my tumor was positive for the estrogen receptor, I would also receive the estrogen blocking therapy, tamoxifen. Later on, I obtained a copy of the radiologist’s report. Interestingly, the written report seemed to communicate a higher level of concern than what had been conveyed to me orally. A surgical consultation was advised. In hindsight, I was grateful for having become motivated to go for the surgical consultation and biopsy, but was very concerned that I could reasonably not have done so based on what I had been told by the experts. The importance of obtaining a copy of any test results, asking questions and being my own advocate suddenly became very clear to me. I struggled greatly to make sense of the diagnosis. I was otherwise healthy and physically fit. There was no history of breast cancer in my family. And I did not feel in any way “ill”. It all seemed surreal. I immersed myself in learning all I could about breast cancer. I soon realized that very little was known about what causes the disease. In fact, little is known even today about actual initiating causes. Instead, we look at factors that increase the risk of a breast cancer diagnosis. In an estimated 5% to 10% of cases an inherited genetic mutation increases risk. Otherwise, the greatest risk factor is being female. For a woman today, the chance of being diagnosed with breast cancer is 1 in 8 over the course of her lifetime. The second biggest risk factor is increasing age. The median age at diagnosis today is 61. * But, unfortunately, facts such as these provided no insight for me as to what the drivers might for be a diagnosis at age 35 with no family history of breast cancer. My first priority in the several months following diagnosis was getting through treatment. My perspectives on what is important in life were shaped by this experience with a life threatening illness. I also looked for steps I could take, such as eating more fruits and vegetables, that could help maintain good health going forward. However, it also seemed very important to me, once I had completed treatment, to move on and leave the cancer diagnosis in the past. Nearly twelve years later, in 2005, I received another shock. A small new lump had appeared just under the skin on the same side where I had had my mastectomy. 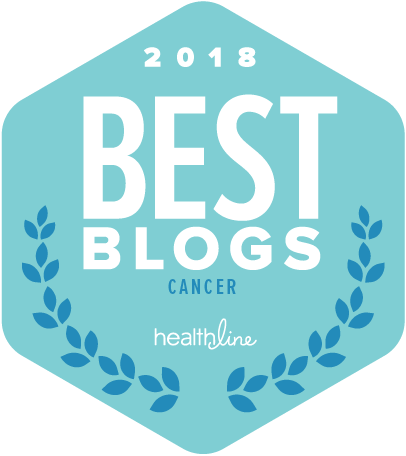 There was a never-wracking month filled with doctor visits, a surgical procedure to remove the lump and scans to see whether there was any indication of cancer elsewhere in my body. The lump was indeed found to be a new tumor, but fortunately the scans were all clear. My doctor recommended aggressive treatment to minimize the chance of a recurrence in the future. This time around, treatment included chemotherapy again, radiation and anti-estrogen therapy, in the form of an aromatase inhibitor, which I would take for five years. This experience raised many questions for me. Where did this new tumor come from? I had had a mastectomy after all. How was this possible? My doctor explained that there may have been a dormant cancer cell from the original tumor “left over” in the small bit of breast tissue remaining just under the skin. There also could have been a precancer cell in that area that eventually developed into a tumor. My doctor did not think it likely that this was a brand new tumor, unrelated to the first. But we really didn’t know. Once I had completed treatment following my 1993 diagnosis I did not want to think much more about breast cancer. My focus was mostly on getting back to normal and getting on with life, and that was a good thing. But after dealing with a second diagnosis, my perspective changed a bit and this time I wanted to do more to try to understand just what we do know and where we are in efforts to end this disease. My life journey, especially since my second diagnosis in 2005, has included learning the basics about the science of breast cancer. It has also included advocating with others for research funding, and participating as a patient reviewer on panels evaluating breast cancer research proposals for government funding. I continue to learn as much as I can about the biology of cancer, cancer research and the progress we are making in understanding and treating these diseases. I have learned that the voices of those of us who have had personal experience with cancer are important too. We need to follow developments, ask questions and raise the issues we are concerned about. One thing that has certainly changed in the last twenty years is the quantity of information that is now easily accessible via the internet. But the quality of the information out there is highly variable and news reports on new developments can be confusing or misleading. I decided to start this blog as a way to share my ongoing learning process. I plan to keep asking questions and to continue to work to understand what is important in new developments in research and treatments. I look forward to continuing this journey together.